Have you ever been out for a hike and come across some mysterious equipment, and wondered what it was doing? Many people across the Midwestern US are having just that experience when they come upon our research stations. We’re tracking migratory bats! Because they see my name and contact information, some of them actually email or phone me to ask that question. I thought I’d put the answer here for everyone to see. 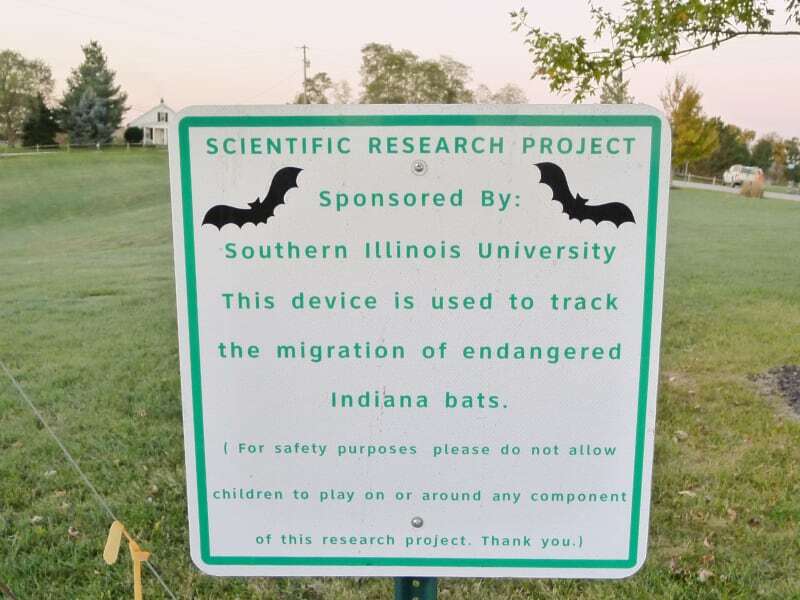 We’re tracking endangered Indiana bats and threatened Northern Long-eared bats. We use mist nets to capture the bats near their summer or winter habitat, and then put tiny transmitters on them. Instead of actively following the signal from the transmitters, we have a network of about 40 passive receivers deployed across Indiana, Illinois, Ohio, and Kentucky. You can see one line of them in the image above from Google Earth. Whenever a tagged bat flies within 5-10 miles of one of our antennas, that station should pick up the signal and record which bat went by. 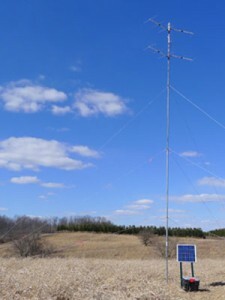 One of our telemetry towers. Each of our telemetry stations consists of 1-3 antennas and a Sensor Gnome computer to listen for signals. If you find one of our stations, you’ll probably see a plastic tub at the base of a 30-foot-tall temporary tower holding up the antennas, as in the photo here. Some of them are simpler, with a single antenna on a pole. The system is powered with a marine battery and a solar panel and can be installed in a few hours. We periodically visit each tower to download data and send it to MOTUS for processing, and then use custom R scripts to figure out which animals passed by each of the towers, and when. I’ve put more information about migratory bats in general and this project on this web site. I’ll be adding more as the project unfolds, so stay tuned! Previous Post: « The answer is: cold fronts. 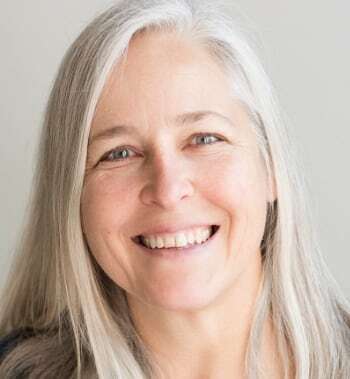 Free-tailed bats coming your way?